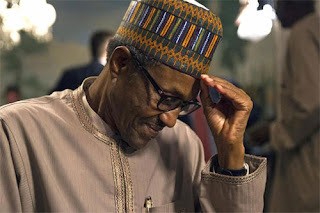 President Muhammadu Buhari has expressed worries over the ruling delivered by the Supreme Court, barring his party, the All Progressives Congress, APC, from participating in all the elections in Rivers state (aside presidential election). President Buhari, who expressed his worries over the ruling on Tuesday while in Rivers state also said that , his party will ensure that justice is done over the issue. The Supreme court, in her ruling, had upheld the earlier ruling delivered by a High Court in the state which barred the APC from fielding candidates for the coming elections. Also, the Justice Aliyu Sanusi-led Supreme Court, had, Tuesday, struck out the appeal filed by the All Progressives Congress, APC, to be allowed to field candidates in the forthcoming general election in Rivers State. The court had struck out the appeal by the APC challenging the earlier judgment of a High Court in Rivers State which barred it from conducting any primaries in the state. In the judgement, Justice Aliyu Sanusi, had ruled that the preliminary objection raised by the respondents, Ibrahim Umah and 22 other aggrieved members of the APC, had substance and therefore, struck out the appeal by the APC. But Buhari, speaking at the APC rally in Rivers on Tuesday, said he was disturbed over the ruling which has barred his party from presenting candidates in the elections.